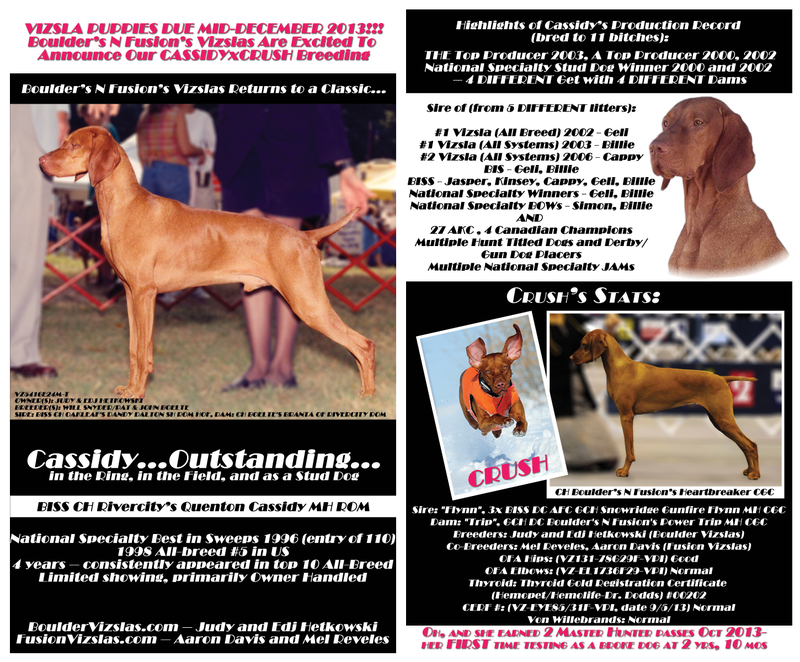 Crush/GCH Boulder’s N Fusion’s Heartbreaker CGC bred to Cassidy/BISS CH Rivercity’s Quenton Cassidy MH ROM! Exciting potential for companion dogs, show, hunt, and other performance events. Puppies due mid-December 2013. http://www.bouldervizslas.com for more info!